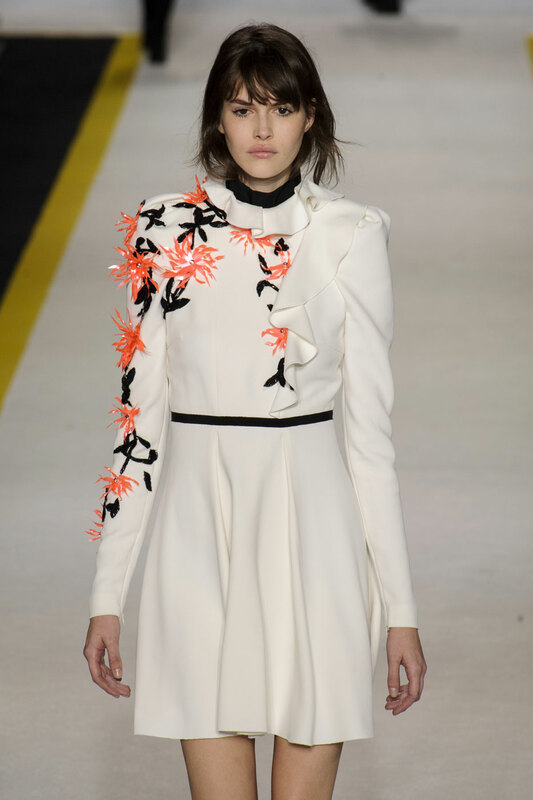 Giambattista Valli Womner Autumn-Winter 2015 – More proof that the late-’60s/early-’70s look has legs came from Giambattista Valli, picking up where he left off, from his Pre Fall collection. 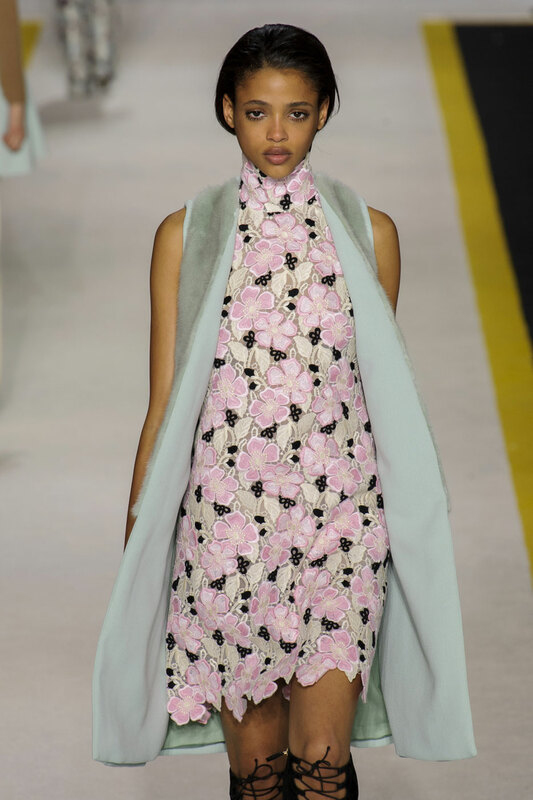 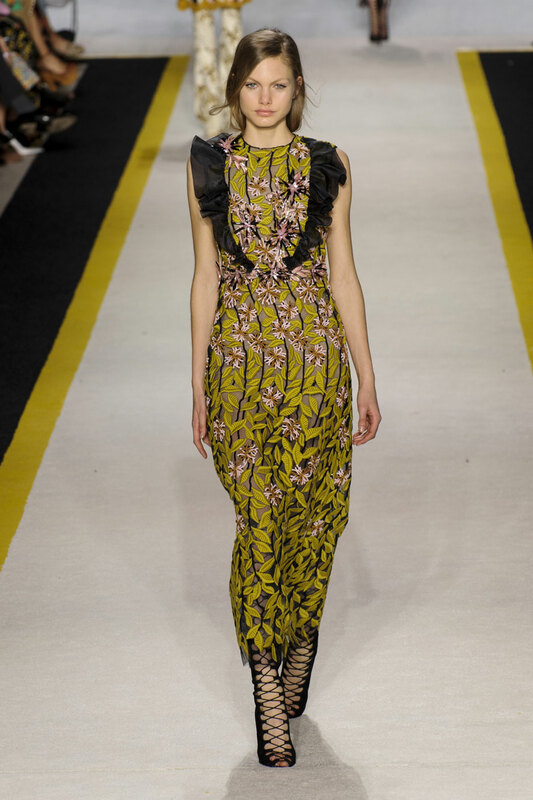 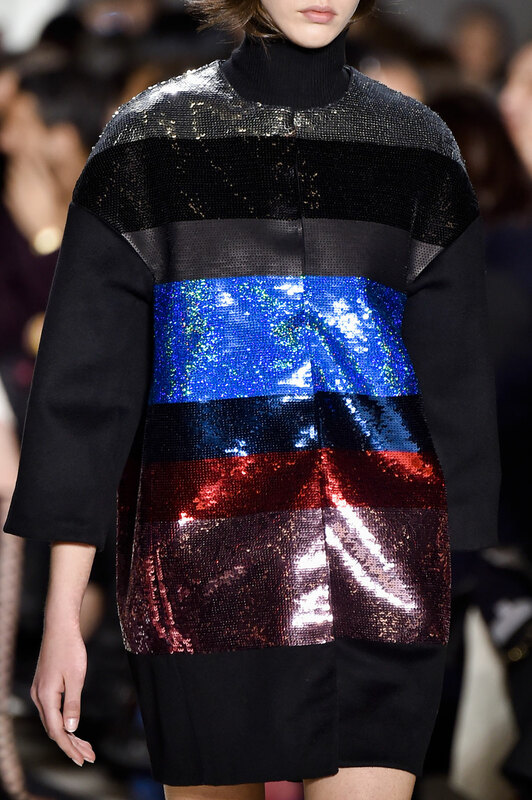 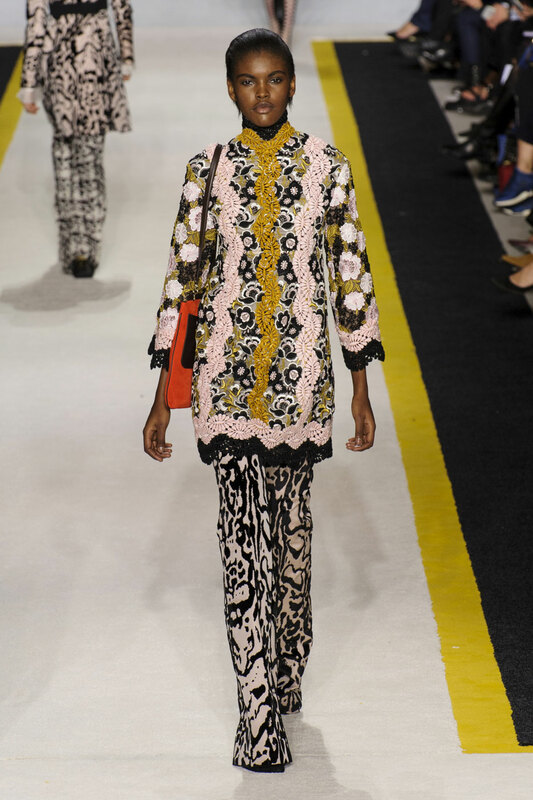 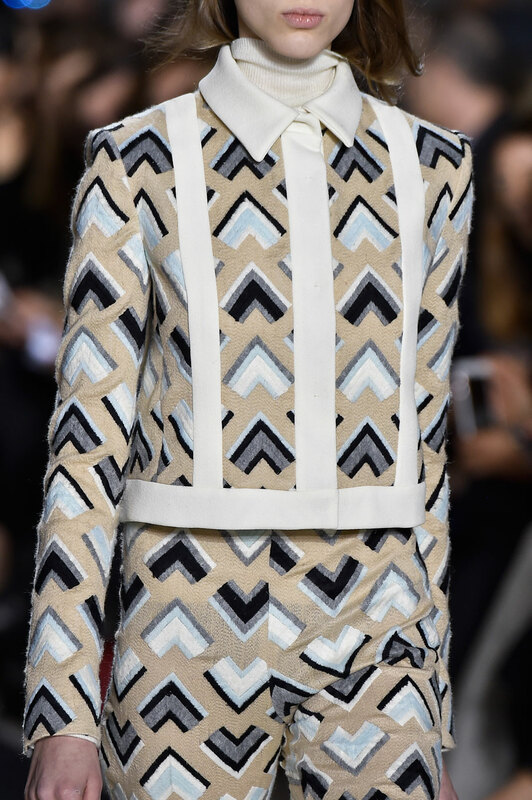 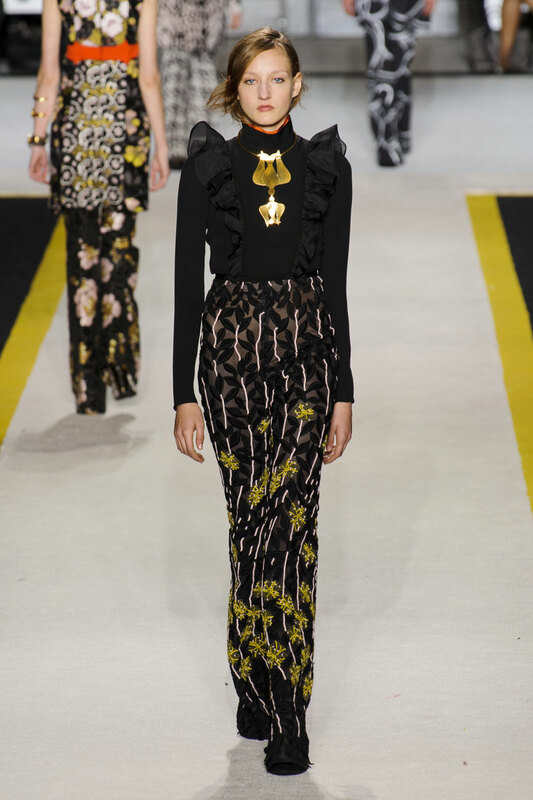 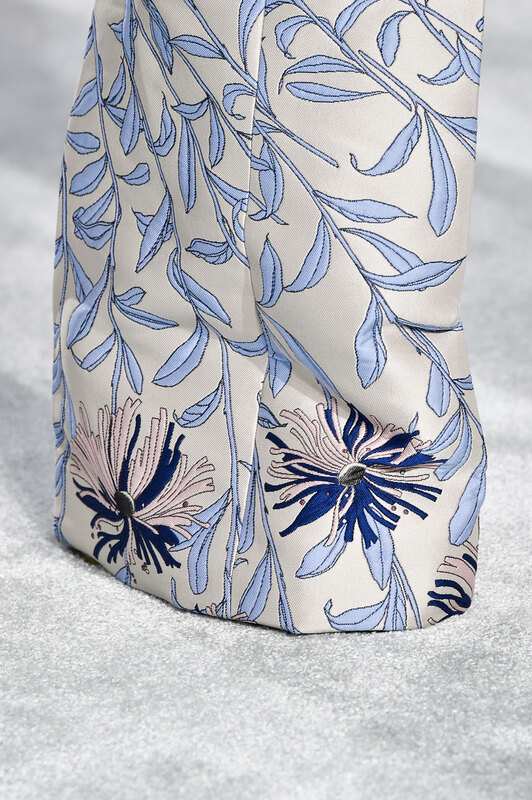 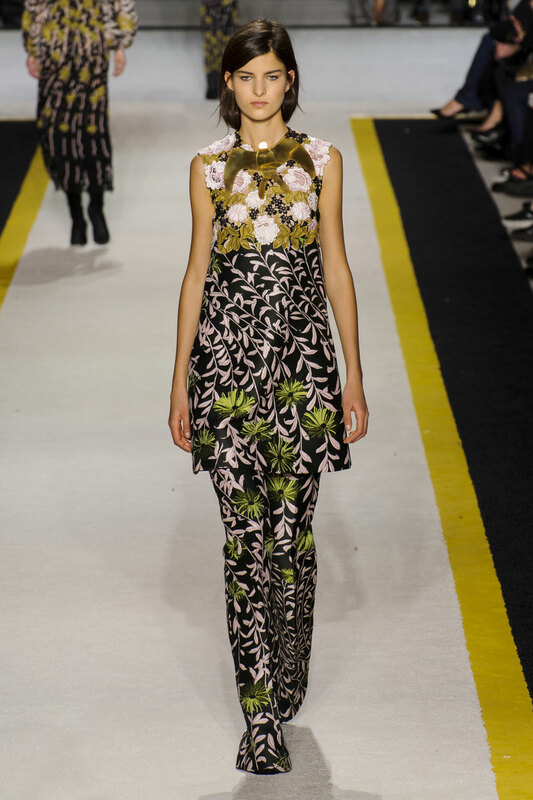 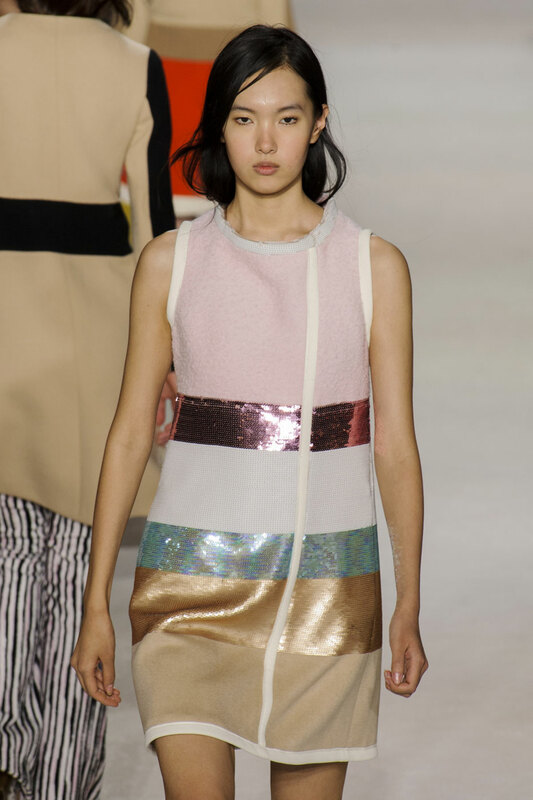 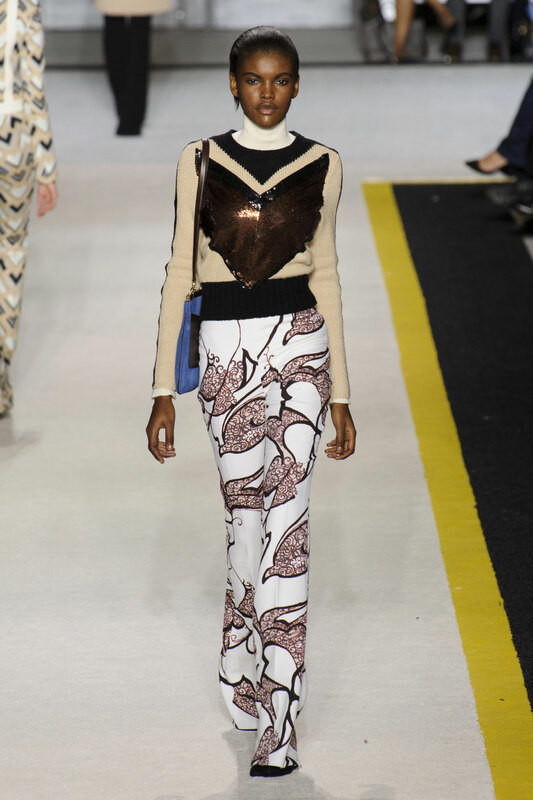 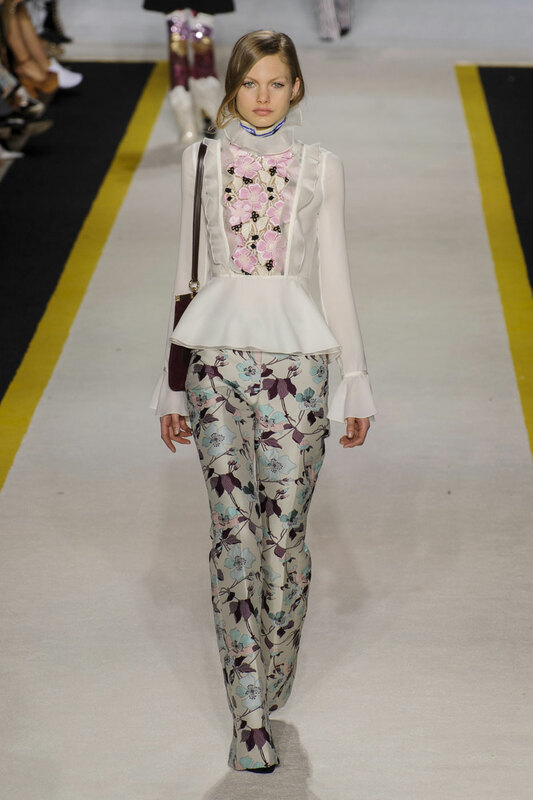 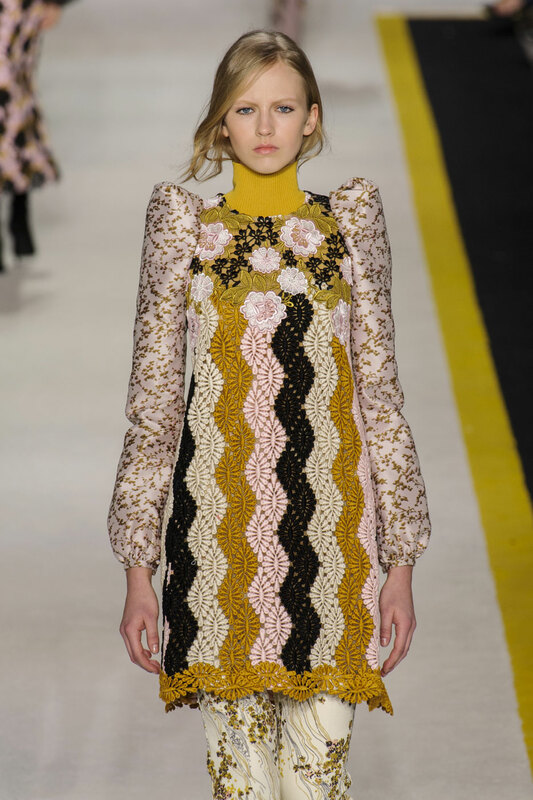 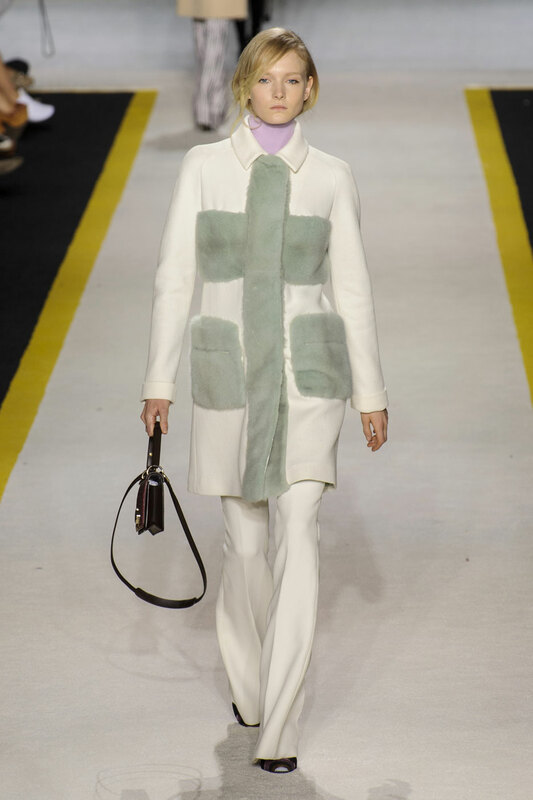 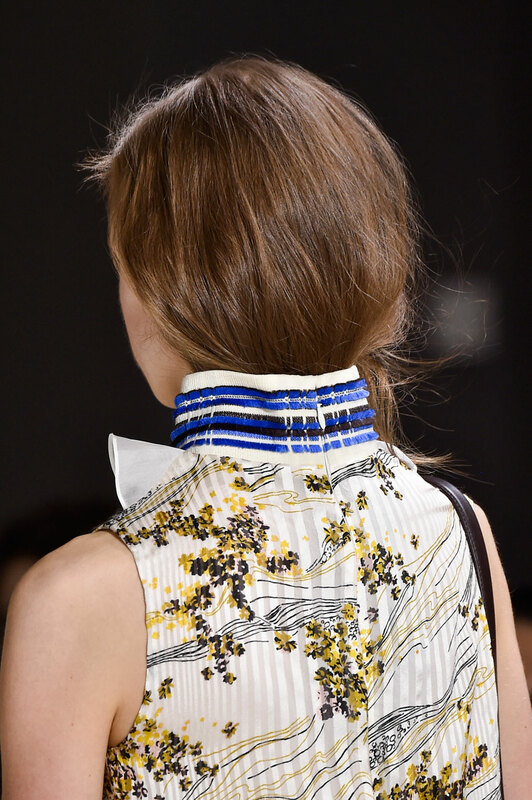 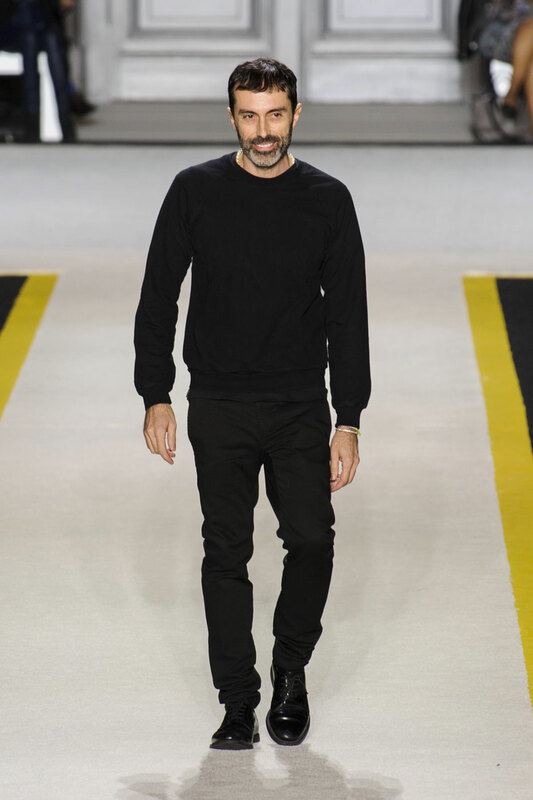 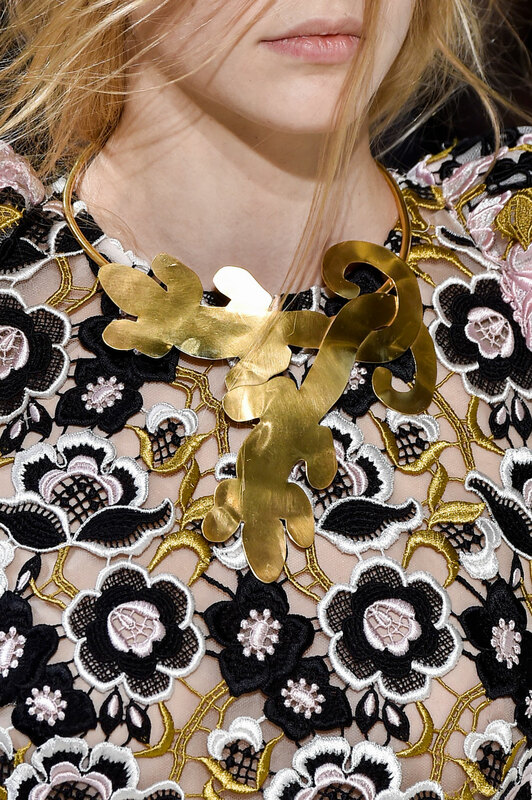 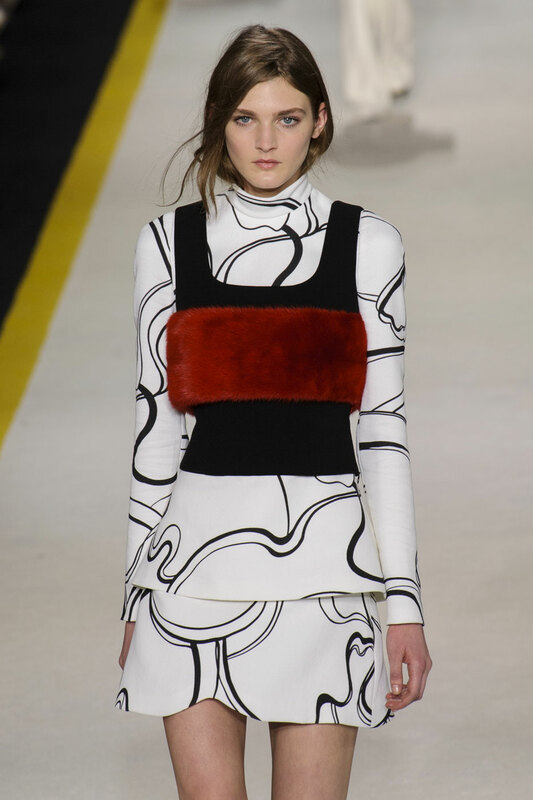 The collection had an uptown bohemian vibe – hippie trippy but still polished in the Giambattista Valli way. 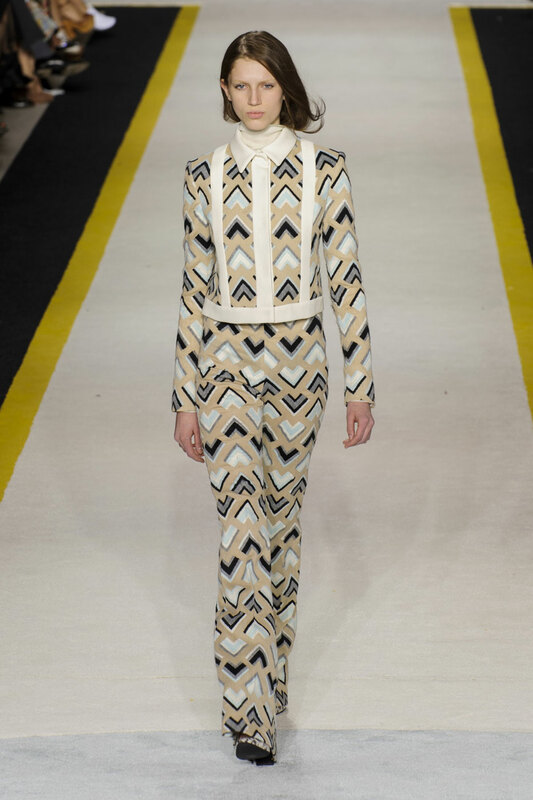 It was loose, comfortable, youthful, chic and wearable. 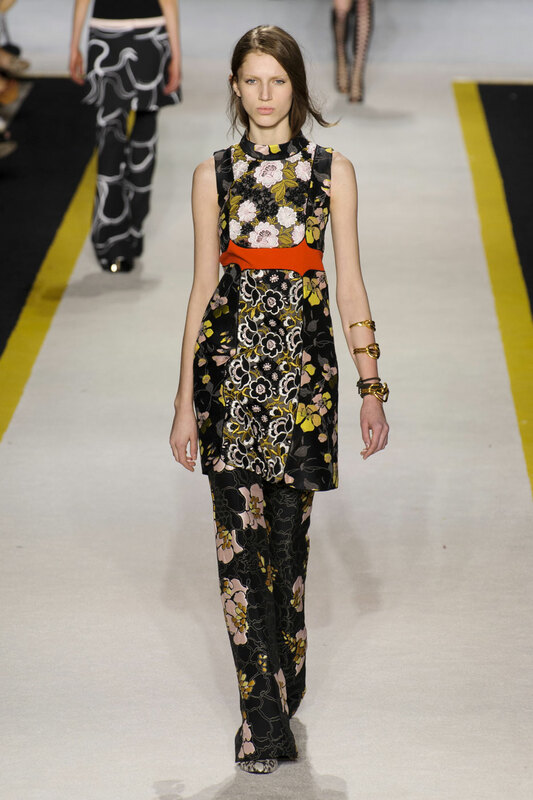 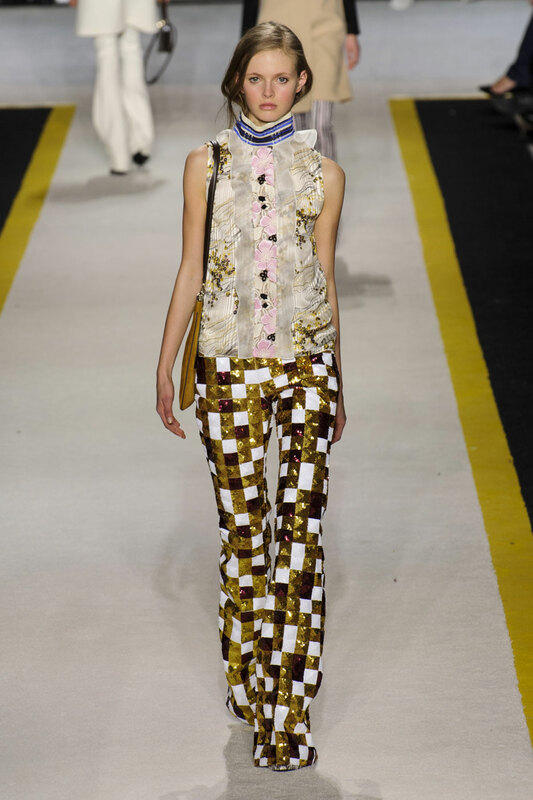 The silhouette was elongated and lean; high waisted bell bottoms layered over filly tops and tunics. 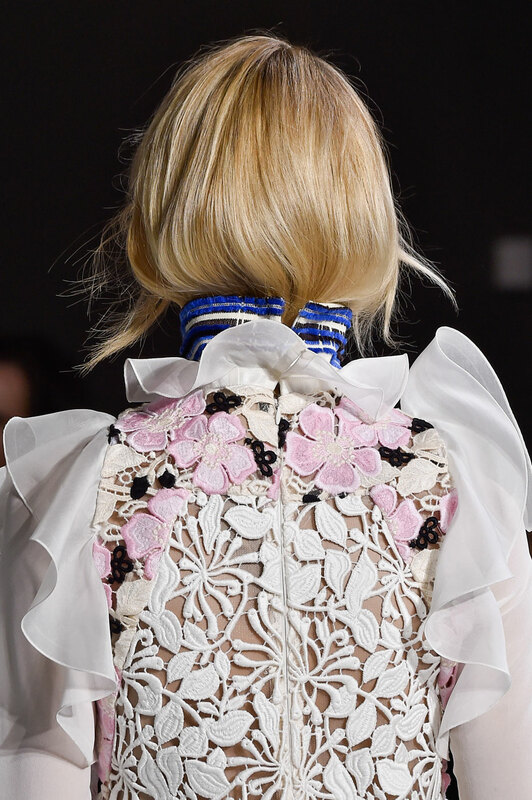 Frill detailing adorned collars, shoulders and sleeves adding femininity and romanticism. 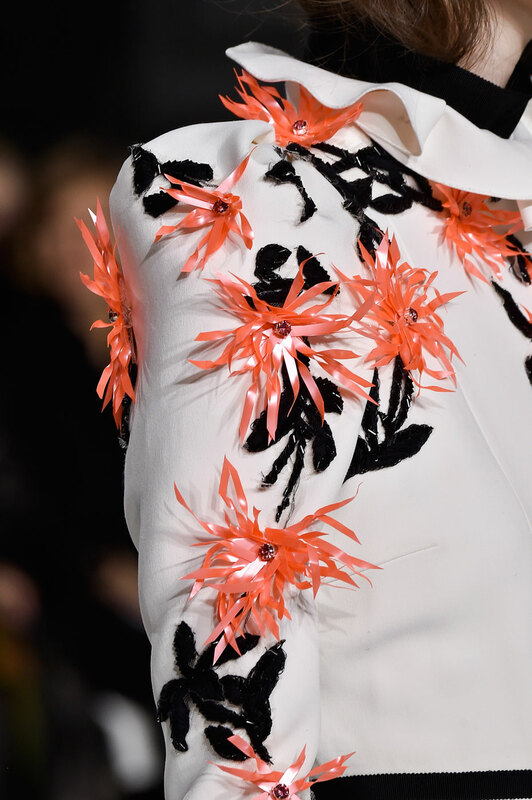 Loud kaleidoscopic floral print, laser-cut leather, bright fur and sequined embroidered panels motifs. 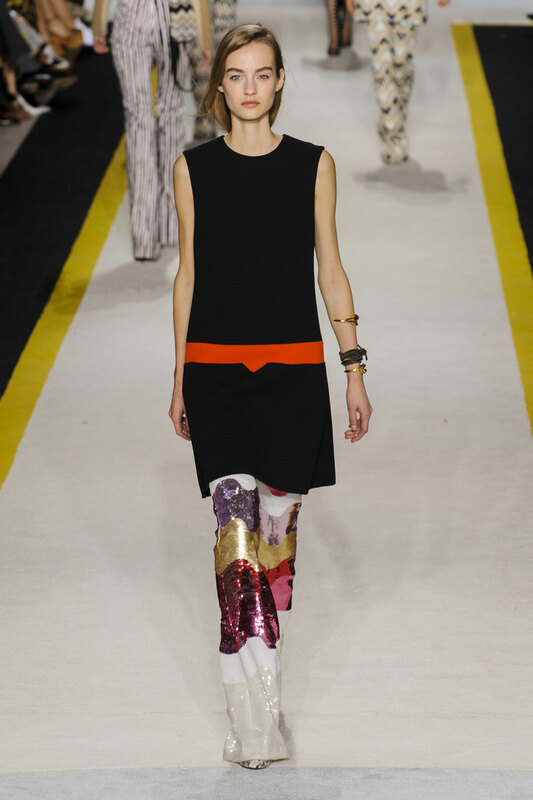 A monochrome colour palette with splashes of red, yellow, orange, blue, green and pink. 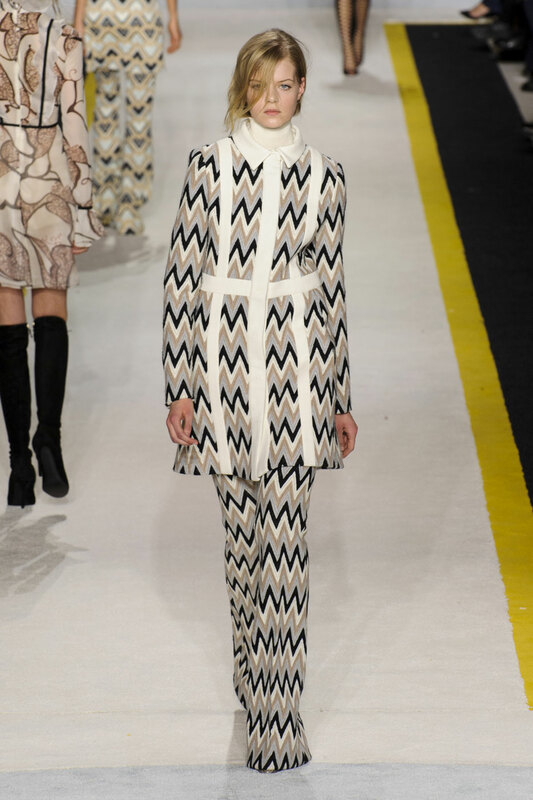 Models walked the catwalk in Valli’s signature knee high boot. 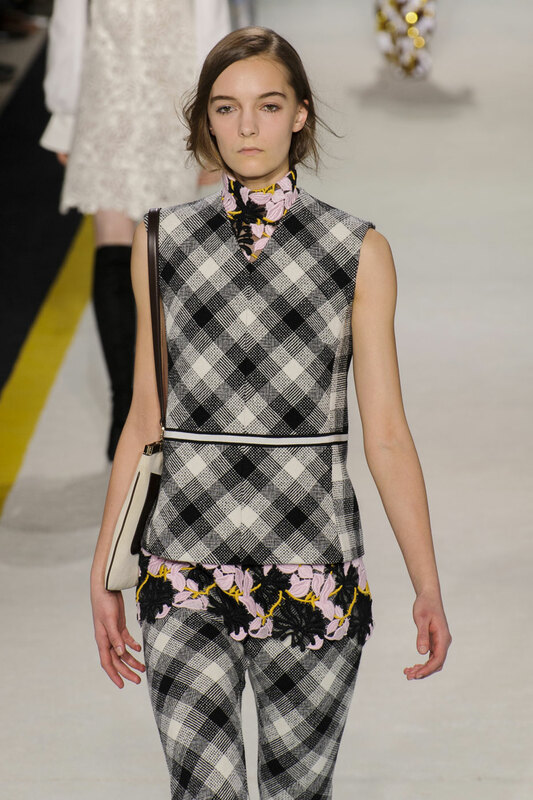 This season it was laced up adding fierceness to all the looks. 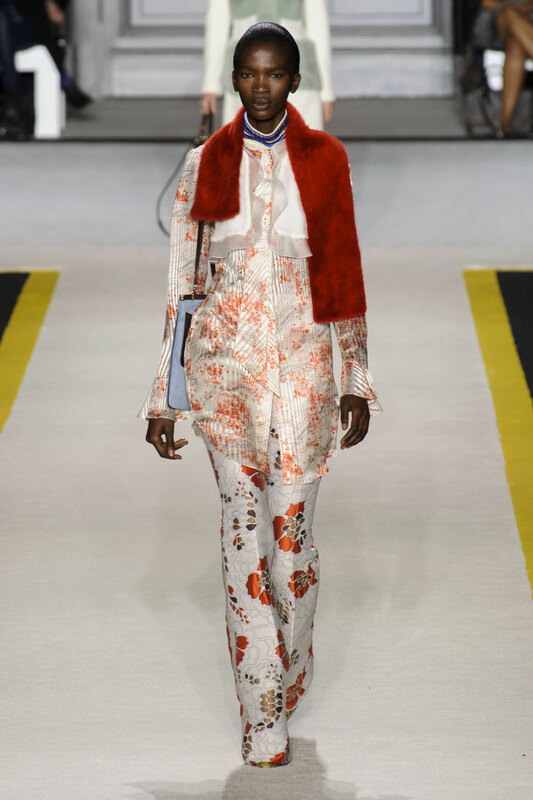 A seventies rock glam appeal; colour block high shine shift dress, reworked pinstripe flares, graphic matching top and trouser sets and flared out sleeved blouses. 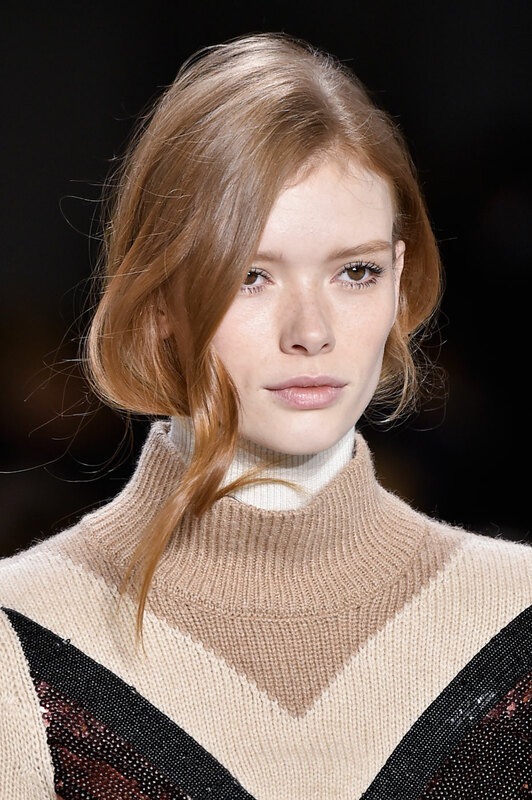 Make up with was kept simple with a lashing of mascara giving a sultry effect, hair was tucked into tops with shorter pieces hanging loosely. 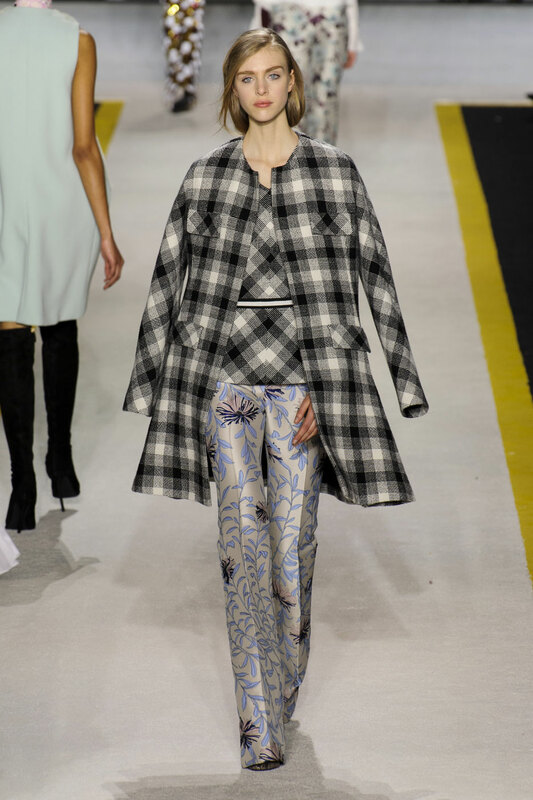 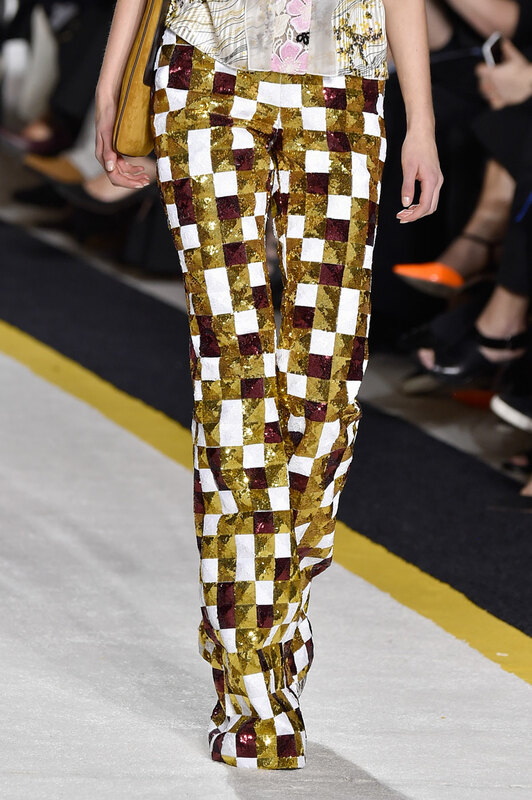 Valli bought freshness to his AW15 collection paying a beautiful homage to the 70s at his runway show. 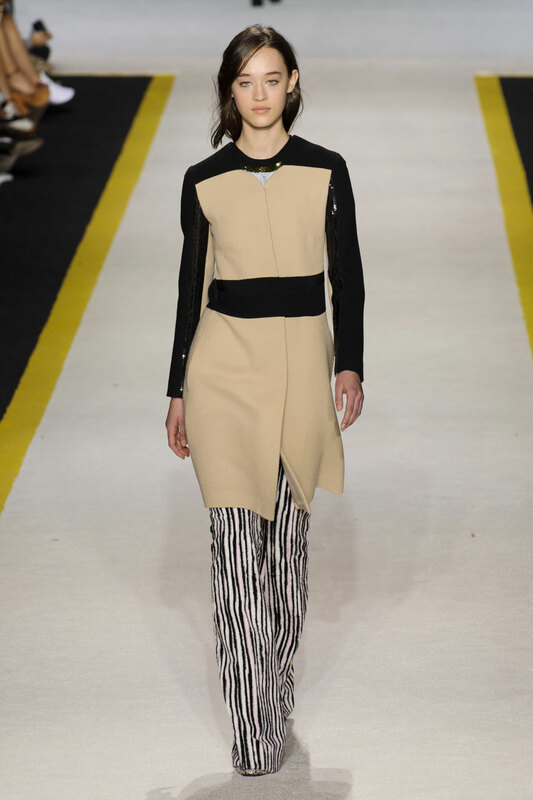 The Valli girl is effortlessly chic.